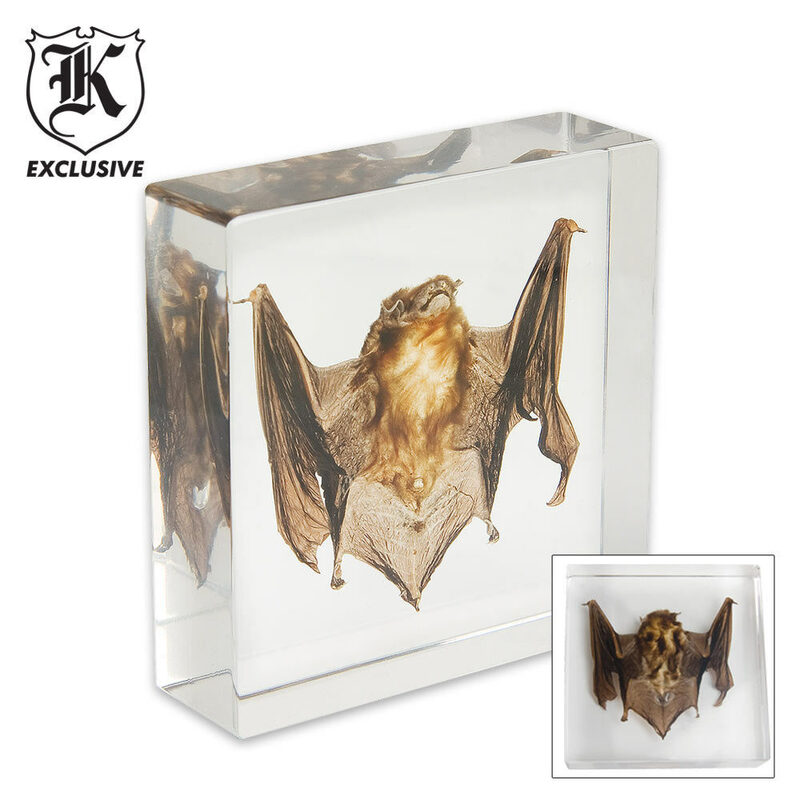 Real Bat Paperweight In Clear Lucite | BUDK.com - Knives & Swords At The Lowest Prices! Drive your friends and coworkers batty! A real vampire bat's body encased in a clear Lucite acrylic resin block makes an excellent paperweight, as well as, a conversation or display piece. The bat's body is visible from all angles and its lifelike pose adds a chilling effect to this item. 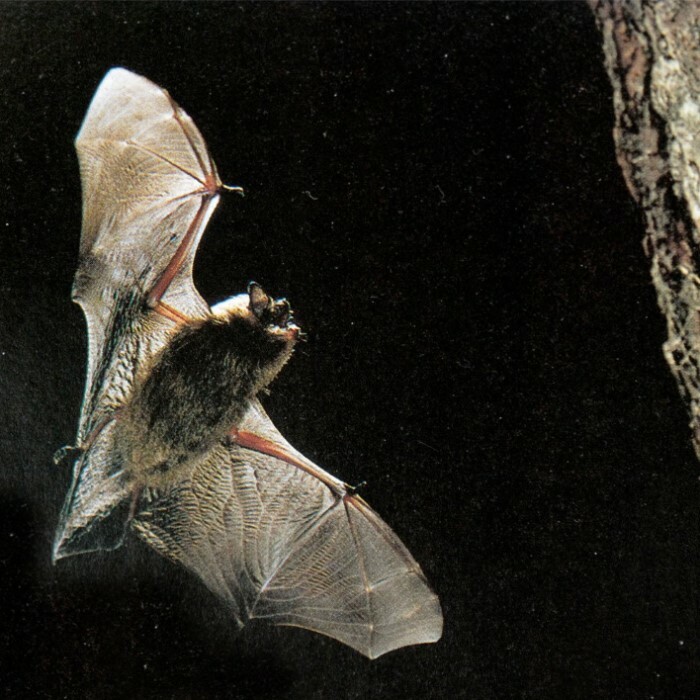 YOU CAN STUDY THIS BAT WITHOUT 'DUCKING'! HOW OFTEN HAVE YOU 'WONDERED'? HERE IT IS. At first I thought this was sort of a bizarre item for anyone to buy. But then my kids expressed an interest in bats, so I purchased this. They were thrilled, and I found it to be really impressive. The lucite is clear so one can see all details very clearly. Everyone who has seen it has taken a lot of time to examine the bat. A great learning tool and conversation piece for anyone with an interest in biology and/or science. Excellent item- use it for the rabies program to show children/adults an actual size of a bat. Lucite is crystal clear- bat is in great shape! I would recommended for any biology, environmental science and/or earth science class. I purchased this as a going away gift for fellow Platoon Sergeant who is into the Goth scene when he's not in uniform. The quality is excellent. The lucite is crystal clear and there are entrapped air bubbles anywhere. I'm disappointed that the bat's wings are not extended as if in flight, which would add to the cool factor. It's the perfect size to be mounted on a plaque. Every Gothic Lord of Darkness should have his own vampire bat! Nice little eye candy item. This was a nice addition to a already started collection of scorpions, spiders and snakes in plastic like this. The plastic comes very clear and the real bat can be seen in great detail. The case in which it comes in is real nice too. I cant believe this item was originally almost $40! Way over priced, the price isn't too bad now, but could be cheaper. Yet, this is a cool item.